Hair fall has become one of the biggest issue nowadays because of poor diet with lot of junk food and busy life which holds you back to take care of yourself properly. One of the main reason is that nowadays we prefer iron straightener and curlers more often while oiling which is main part of hair care, has become less desired considering you need your clean shiny hairs all the time. Oiling your hairs is the most natural way to fight against hair fall or boost hair growth. If you do not moisturize your hairs and scalp properly every once in while, it becomes dry and and stop nourishing your hairs. However not all the oils are for every one and there is proper way to use them. 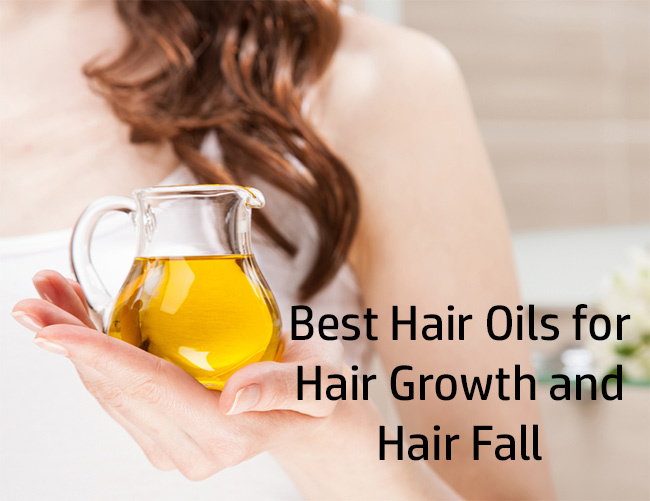 Depending on your hair and skin type you can pick oil suitable for your hair to grow and stop falling. This oil is most rich and thick, full of vitamin E, omega 6 and essential fatty acids. It is famous and known for hair growth not only on head but also help grow eye lashes and eye brows. The thick texture is hard to work with and therefore always should be used in combination of coconut oil or olive oil to thin its consistency. Always warm oil before application and message thoroughly. Leave for few hours or steam with warm damp towel wrap. This oil not only help grow your hair better but make them soft shiny and dark. It is also very good for dry, itching scalp. Containing Omega 3 fatty acids, vitamin E and magnesium, this oil is best for moisturizing and treating dry scalp. It get you rid of split ends and protect your hair against heating straighteners and curlers. It also treat dry and dull hairs from bleach and color. The healing property in this oil treat scalp issues like flaky, dry scalp. The continuous use keep your scalp healthy and help grow your hairs. 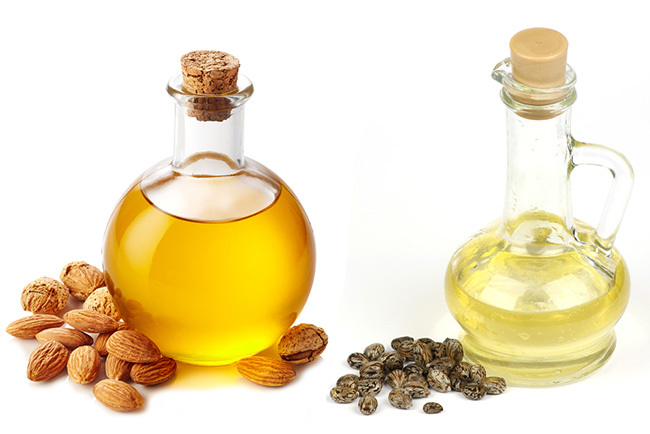 Massage warm almond oil in scalp and hair for few minutes and steam with warm damp towel wrap before washing. 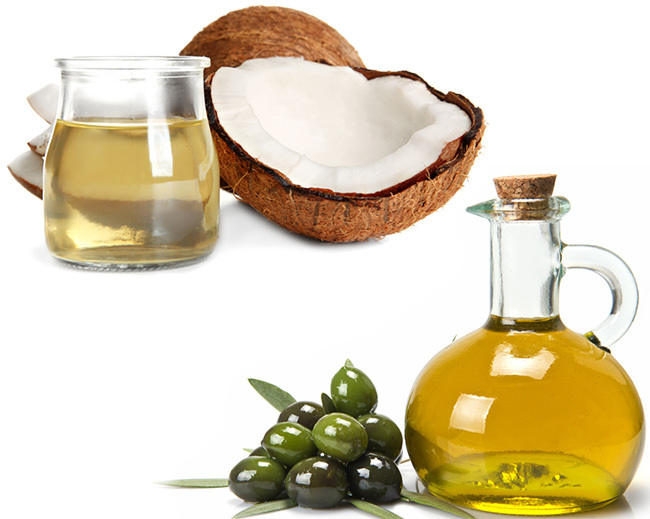 This oil is natural conditioning and nourishing oil for hair and skin. The vitamins and fatty acids in this oil moisturize your dull and dry hairs and make them look shiny and healthy. This oil can be savior for ones with wavy hairs which are hard to tame and become dry. It also help you with oily or dry scalp and keep the skin well moisturized. It is the best oil for oil blends and help other oils work better. Warm this oil before application and after thorough massage leave for few hours or overnight. Do not keep this oil very long in hairs as it solidifies and if kept longer can cause stiff hairs which can break easily. This oils is rich in fatty acids, antioxidants and anti inflammatory properties which is equally good for your internal and external health. It is lightweight and penetrates deep into the skin keeping your scalp and hairs moisturized and healthy. It help treat the issues of scalp and let your hair grow better. It not only nourishes them but also increases the elasticity of hairs and prevent it from breaking. Regular use can get rid of dandruff or itchy scalp. You can use it to massage in hairs and wash after few hours or keep overnight. It can also be used as hair serum after washing, just apply few drops on damp hairs and rub them for shiny hairs. This oil is rich source of nutrients like iron, vitamin A, C, fiber, potassium, essential fatty acids and antioxidants. As much as all these properties make it healthy food it is great for hair growth. It is also light weight and penetrate deeply into the skin and strengthen the hair roots which ultimately help in hair growth. Its anti fungal and anti bacterial properties treat many scalp issues including dandruff. The regular use prevent gray hairs and darken the color. Massage in hair and scalp for few minutes and leave for overnight before washing. Rich in vitamins and antioxidants, shikakai is used in subcontinent for hair care for centuries. It is used as organic shampoo replacement as well for its cleaning and mild leather properties. Shikakai oil makes hair soft and shiny, it strengthen them and protect them from breaking by increasing its elasticity. The antioxidant property protect your scalp from skin issues and hair lice. It's continuous use can stop hair fall and help grow them fast. 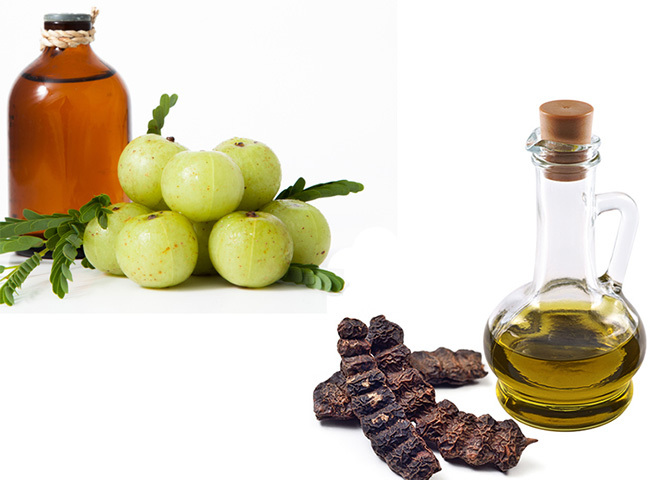 Like Amla oil it also prevent gray hairs. Massage this oil in hair and scalp and keep overnight before washing. 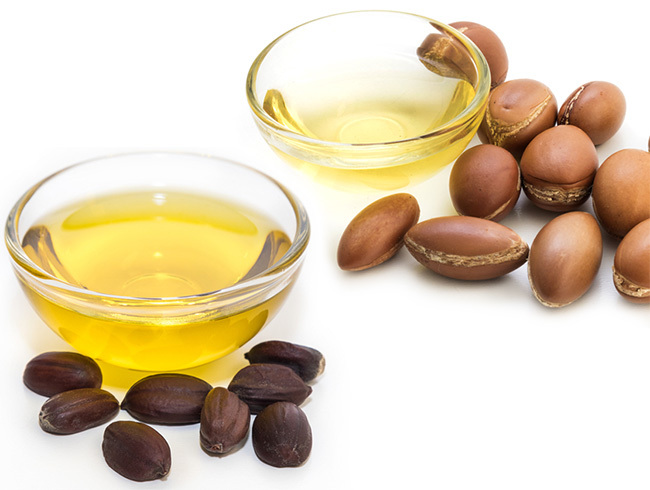 Jojoba oil is light weight, noncomedogenic and is full of fatty acids, making ideal for moisturizing. It is not exactly oil but a wax ester making it organically close to human skin oil. It keeps the balance of oil produced by skin and therefore is good for all skin types. It makes hairs strong and healthy and is known for hair growth as it keeps scalp healthy and properly moisturized. The regular use will stop hair breakage, hair fall, dandruff. You can massage the oil and wash after few hours or use it as leave in conditioner or serum for frizz free and shiny hairs. Known as liquid gold, this oil is rich in fatty acids and vitamin E. It is non greasy and absorbs quickly making it perfect moisturizer for skin and hair. It makes hairs strong, healthy and treat split ends, dandruff and hair breakage without making them oily and sticky. The same fact makes it suitable to use it as hair serum or leave in conditioner. The use of this oil keep hairs and scalp safe from many issues which ultimately help in hair growth and stop hair fall. Do you have any favorite oil which is your life savior? Share your opinion in comments below.